Thanks to Kiri, and to Volvenom and Arsil from MTS, I learnt a bit of things concerning recoloring and converting, and managed to successfully do one. 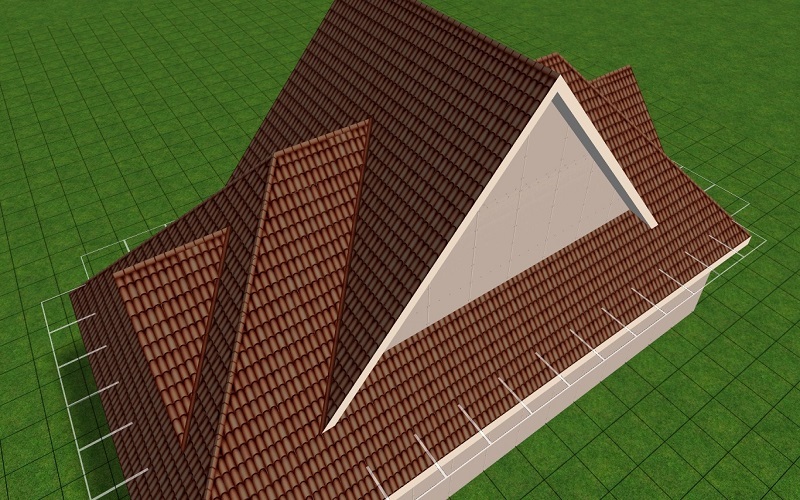 So, I've decided to upload this mini 3t2 conversion: a terracotta roof from TS3 for The Sims 2. Hope it's not inappropriate to upload this very small thingy here. Oh btw, I think that it requires at least one EP, no matter which one. So, it's not Base Game compatible a priori, but let me know if this works with just the Base Game. And I will let you know if my attempt to make a TS3 roof with a wide and plain white trim worked or not (because this was initially my wish). That looks really good. I always love to get my hands on good build materials.